You like keeping yourself fresh. The clothes you wear and the outfits you create always have to be on point. You’re not interested in old trends. You want to wear clothes that show you care about trends and can keep up. Your eye is amazing at seeing the trends and making them work for you. Keeping your swag on point is important and here are some tools to help you keep that up. 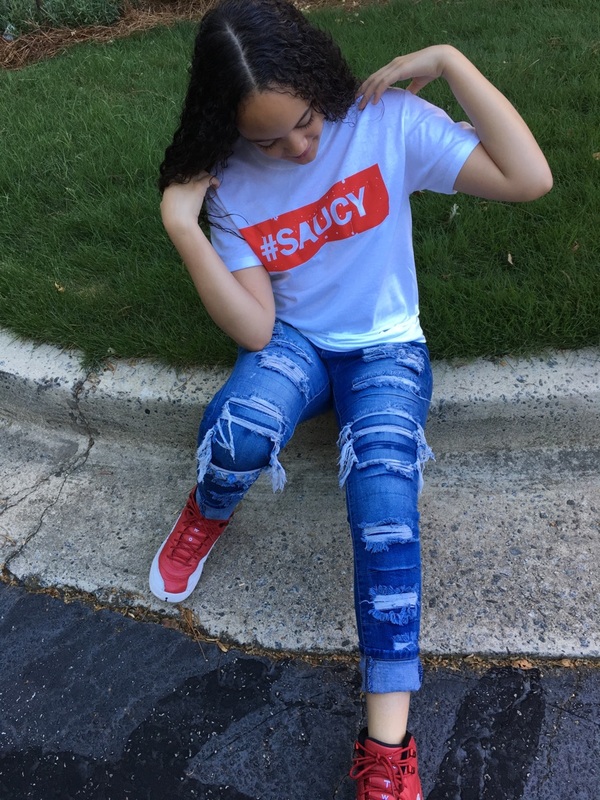 The first place you should always look is Saucin Trendz. We’ve got eyes and ears in the industry, making sure we bring you the hottest trends. It’s our job to keep you looking fresh, so let us do our job. If you need fresh new swag there is no need to look further. We’ve got you. Whether you’re looking to add a swag new hat, hoodie, jacket, or T-shirt, we’ve got the stuff to keep you fresh. Staying fresh relies a lot on who you follow. You’ve got to be following the trendsetters to stay on point. So spend some time scrolling through Instagram and pick out some trendsetters that you feel match your style. Look at their pics for inspiration, and wait for them to post more to keep you on it. Trends move so fast you’ve got to use the tools you’ve got to stay up on it. A big part of keeping your swag on point is caring for it. Don’t let your kicks get dirty. You’ve gotta care for your stuff! As much as you have to spend time looking at what trendsetters are wearing, you’ve also gotta care for what you’ve got. Make sure you’re washing your clothes right. Don’t let your hats get misshapen. And care those fresh shoes that take you where you need to go. Your friends are just as concerned about staying on point as you are. So spend time shopping, scrolling, and cleaning together. Sometimes you just need that other voice saying you look like fire and need to buy it. And cleaning shoes can be boring alone but turn into chill time with the fam. Those people are there for you and spending time with them is important. So throw on a movie or your new favorite track and and keep things fresh with your friends.